Join us as we kick off another Alpha course! Good food, an interesting talk, and open and honest conversations about the big questions in life. Join us! Join us as we begin the journey of Lent with a service of Eucharist and the imposition of ashes. Join us for the ALPHA kickoff! Dinner provided. Join us for a celebration of the birth of Jesus. We will sing familiar carols, take Communion, and conclude with candlelight singing of “Silent Night”. Join us for our annual service of choral music and Christmas carols, centered on the narrative of the birth of Jesus. Stay after for a reception and crafts and baked goods bazaar! A family Christmas tradition. Join us for breakfast, crafts, story time, and more! Dinner at California Pizza Kitchen! Join us for our next fellowship and fundraising dinner! We will be dining at California Pizza Kitchen, located at 99 N. Los Robles Ave., Pasadena, CA 91101. Bring a flyer and 20% of proceeds will go to benefit our building renovation campaign. Please join us for a worship service of thanksgiving, and a potluck dessert/finger food reception. The Fresno Pacific Chamber Choir and Women’s Chorale present “Music Down in My Soul!” as part of their fall tour. Dr. Bethany Alvey conducting, Matthew Horton on piano. This concert is FREE and open to the public. Church Between Borders is a three part interactive workshop that sparks thought and discussion for groups interested in engaging immigration from a Biblical perspective. Participants will reflect on the Biblical mandate to welcome the stranger and consider what that means in our current context. Church Between Borders has been done in various settings throughout the country-- adult-education classes, in congregations, youth groups, schools, colleges, community organizations, and more. We are asking for a suggested donation of $10/person to cover materials and food, payable the day of the event. This workshop will take place Saturday, September 15th, at our Montrose location. Plan to join us!! Join us as we kick off a new season of ministry together, and plan to join us after church for a luncheon and fellowship! Join us for worship and fellowship in the park! We will hold our normal Sunday service at 10am in Dunsmore Park, followed by a potluck picnic. Come join us for a celebration in God's creation! Shalom means "may you have well being". So many Christians know Jesus but have yet to take hold of the well-being, the fullness of life, which he came to give. Come learn and be equipped to impart the well-being that Christ died and rose again to give us. greater well being for themselves and others. We will be celebrating what God has done for us in recording the deed to the new property in Montrose. We will also spend time hearing stories from the longest-tenured members of St. Luke's. Please mark your calendars and plan to join us! Shalom means “may you have well being”. So many Christians know Jesus but have yet to take hold of the well-being, the fullness of life, which he came to give. Come learn and be equipped to impart the well-being that Christ died and rose again to give us. SHALOM will begin with half day, quarterly events and have guest teachers and worship leaders. Come be blessed! Who: Leaders in ministry and anyone wanting greater well being for themselves and others. Join us as we recount the story of salvation through the Scriptures, and we ring in the season of Easter with a joyous Alleluia! Join us as we meditate on the cross of Christ, with choir and cello complementing our worship. Join us for a service of Holy Communion focused on the love and humility of our Lord. The service will conclude with the Stripping of the Altar and an all-night prayer watch. Join us for a joyous celebration of the Triumphal Entry of Jesus into Jerusalem. The service continues with a reading of the Passion narrative, as we enter into Holy Week together. 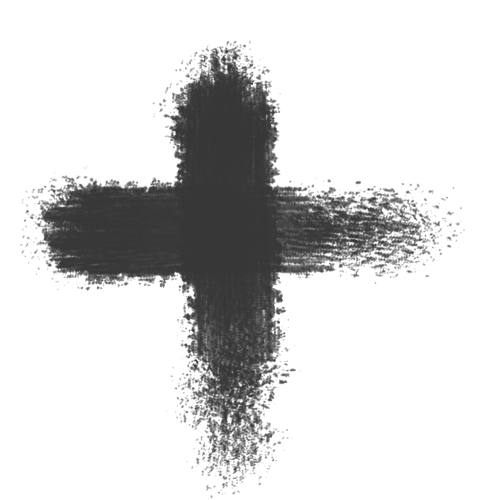 Join us as we begin the journey of Lent together with a service of Eucharist and the imposition of ashes. Join us for a Eucharist celebrating the Incarnation of our Lord Jesus Christ. We will join in many familiar carols, including a candlelight singing of Silent Night.